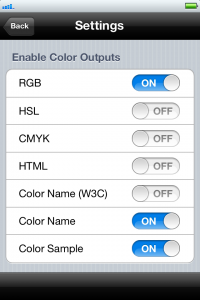 ColorAssist HTML Color Names | FTLapps, Inc. Both ColorAssist Free Edition and ColorAssist (the paid edition) include HTML color names which can be enabled by the ColorAssist user on the Settings screen. For additional information, check out W3C Schools’ HTML Color Names.